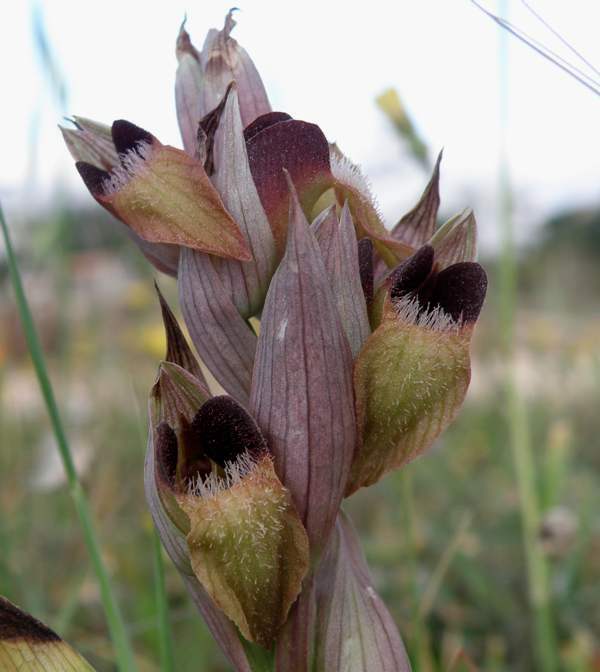 Serapias orientalis is a short but robust plant growing to around 30cm tall. There are up to 10 pointed leaves at the base of the stem and some further bract-like leaves higher up. 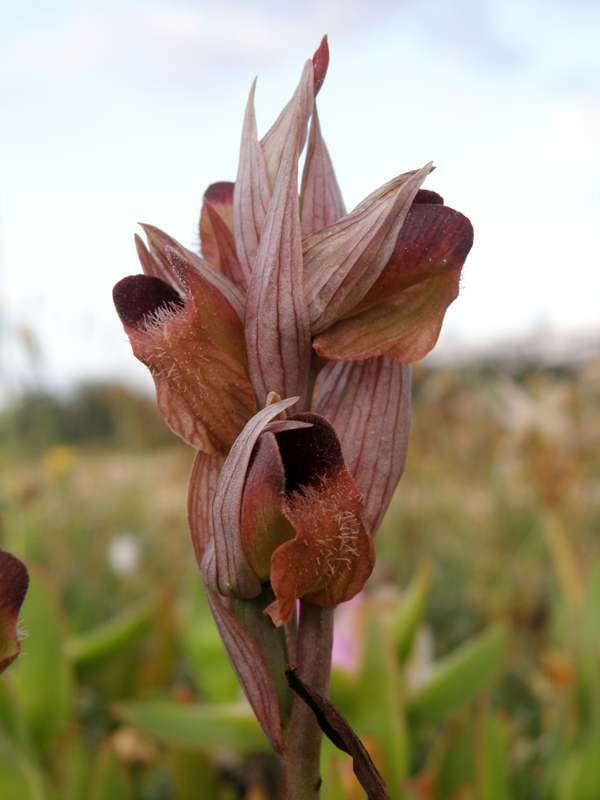 Each inflorescence carries up to 7 large flowers which are quite densely packed together. The sepals and petals are a pale pink-to-mauve and veined with dark red. They form a 'hood' over the lip of the flower which is broad at the base and tapering sharply towards the pointed tip. The lip is coated in the centre with long, dense white-ish hairs. The overall colour of the flowers is variable - some are pink and others a dull yellow or brick-coloured orange. 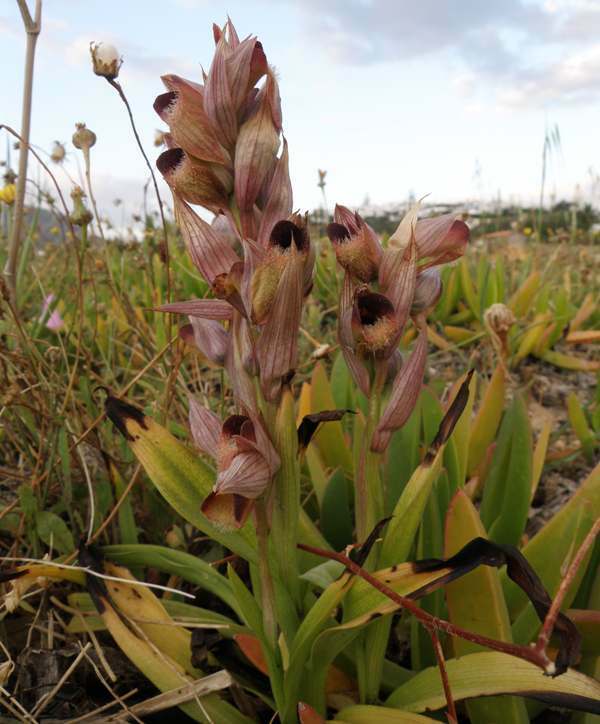 As its name suggests this Mediterranean species grows mainly in the eastern part of the region, in Crete and southern Greece. 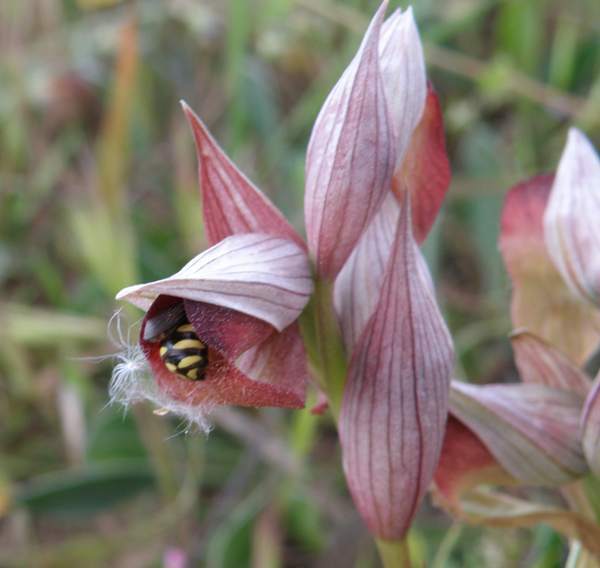 It is frequently confused with other tongue orchid species and so its true range is unknown. This plant grows in full sun or mid-shaded calcareous substrates and tolerates both dry and moist conditions. Unimproved short grasslands, damp meadows and abandoned farmland and olive groves are good places to look.